Dennison has worked with the Lubrizol Advanced Materials group since the company began as BF Goodrich more than 20 years ago. Our experience among Lubrizol’s many business groups is varied, but our work with the Personal Care Group is always rewarding. This group manufactures pharmaceutical products that enhance the performance of shampoos, lotions, gels and other personal care products. When faced with difficulty reaching the bench chemists who purchased their products, we developed an innovative electronic presentation to grab their attention. The “Trends” presentation exposed Lubrizol’s target market to annual trends in the health and beauty industry, creatively tying Lubrizol products to each trend. 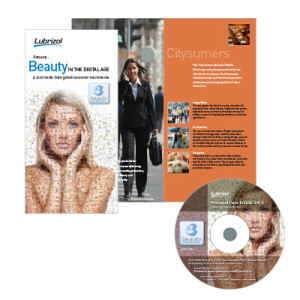 The company presented the information on sales calls and followed-up by sending appropriate samples. Supported by ads, literature, e-blasts and social media, the campaign was extremely effective and repeated annually for several years.